ConklinScott is a Democratic Political Consulting Firm specializing in national political and governmental affairs, campaigns, strategic fundraising and labor relations. A veteran of over one hundred campaigns, firm President Kimberly Scott has twenty-five years of experience in working with the national political community and Capitol Hill. 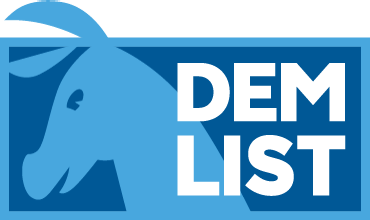 DemList is the only proven, trusted resource of its kind — dedicated to the mission of educating, informing and connecting the Democratic family daily to the people and resources to be successful. A unique, central resource that connects people to the who, where and why of Democratic events, issues and activism. The greatest resource, however, is The Audience – DemList Users. “The List” is comprised of over 10,000 self-subscribed DNC and party officials, electeds, donors, fundraisers, lobbyists, hill staff, labor, celebrities, media and activists from every state and the territories, with a growing international fan club. The people you want to reach, influence, inform and engage – at the National, State and Local level. FREE for users to sign-up, and to submit and promote their event information on the DemList Calendar. Sign-Up to receive the DemDaily political column and to access the DemList National Calendar.